I have been photographing my collection again! Many of my favorite figures are vintage ones that do not have open hands. So without the opposable thumb, how are they able to hold items? 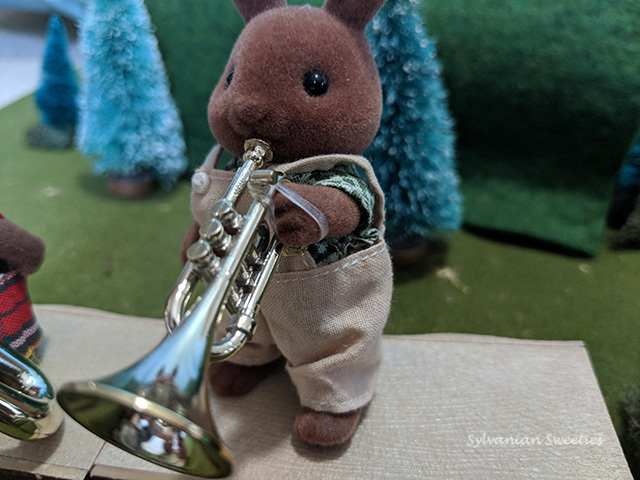 How is Herb Wildwood holding that trumpet to his mouth? Many vintage sets such as the child’s painting set and some of the musical instruments have a place where a small rubberband used to be. Since many of these items are well over 30 years old, those original rubber bands have disintegrated. Rubber bands from food items and stationery stores are just too big. 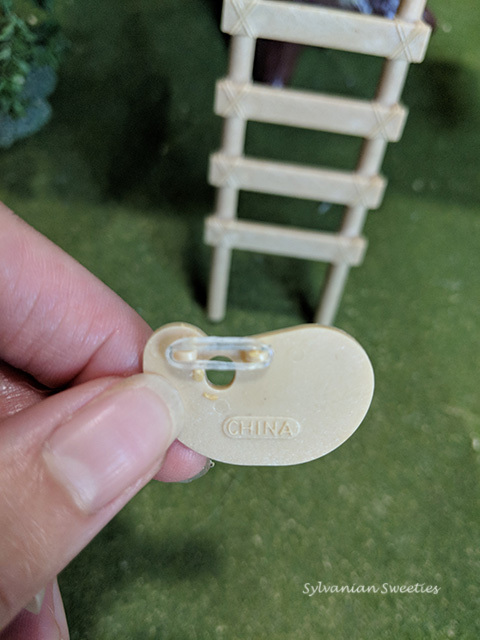 So where can you find these small rubber bands? Here’s where having a teenager with braces come in! The orthodontist gives the patient very small but stretchy clear bands to make the teeth conform a certain way. 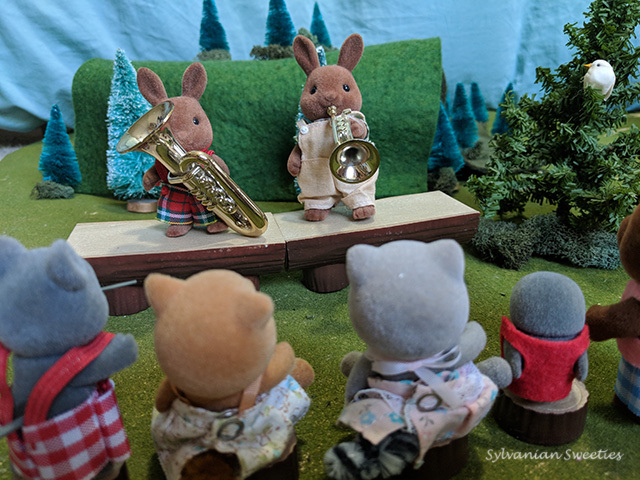 These bands are the perfect size to use with Sylvanian’s hands! 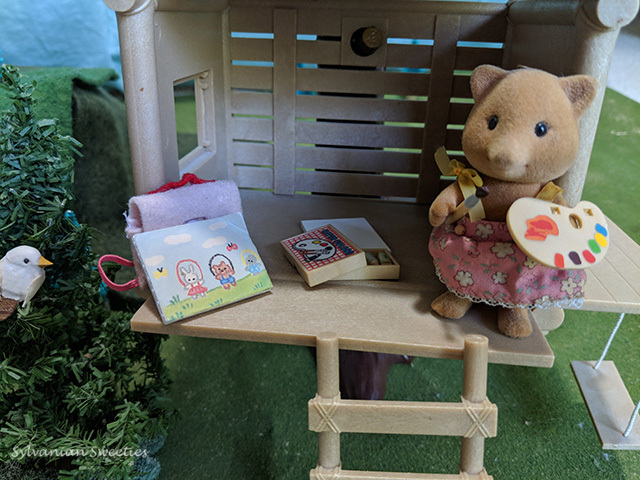 Scarlet Slydale is painting in the treehouse. How is she holding the painter’s palette? Orthodontic rubber bands to the rescue! Where can you get these small rubber bands? Find a teenager with braces and see if they can give you a couple of clear ones. They also sell them online but you won’t need 100 of these! Make sure you take the bands off your figure and off the accessories. They will leave a dent in your figure’s flocking if left on too long and sometimes can create changes in the plastic of your accessories if left in storage for a long time.